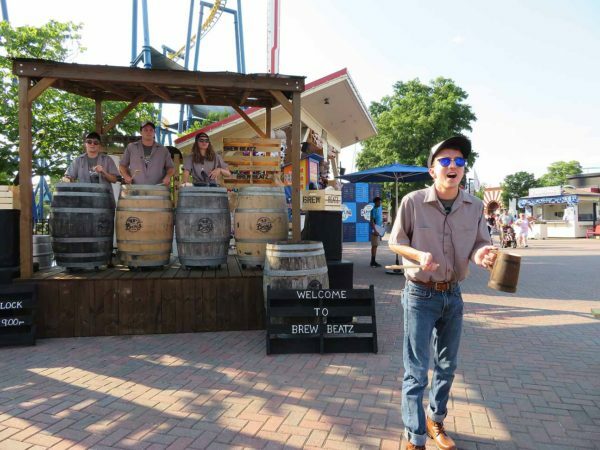 During earlier visits this season to my home park, Carowinds, and one of my “home away from home” parks, Busch Gardens Williamsburg, I took some time to take in a few shows; Brew Beatz during the Great Carolina Fest at Carowinds, and Mix It Up at Busch Gardens Williamsburg. While both shows feature talented casts and high energy soundtracks that utilize some “uncommon” percussion, it wasn’t until later that I realized another commonality between the two shows was musical direction. 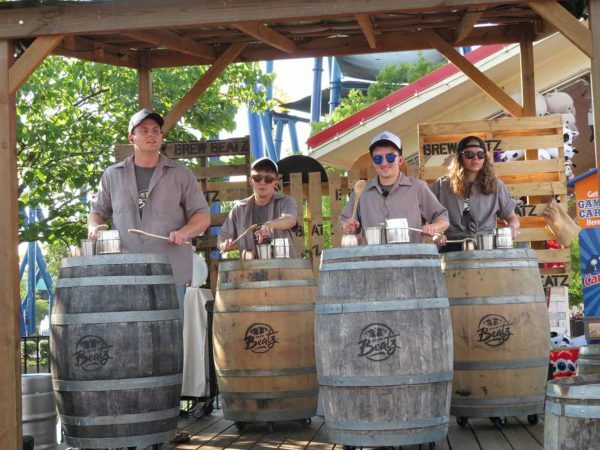 Both shows (along with several other shows at both Carowinds and Busch Gardens Williamsburg) feature creative direction from Asheville, NC’s JM Music Design. Always eager to learn more about what goes into the overall theme park experience, I tracked down JM Music Design Founder and Owner Justin Mabry to find out just what it takes to create the music for a theme park show. Coaster101: For those who might not know, give us a little background on you and the origins of JM Music Design. 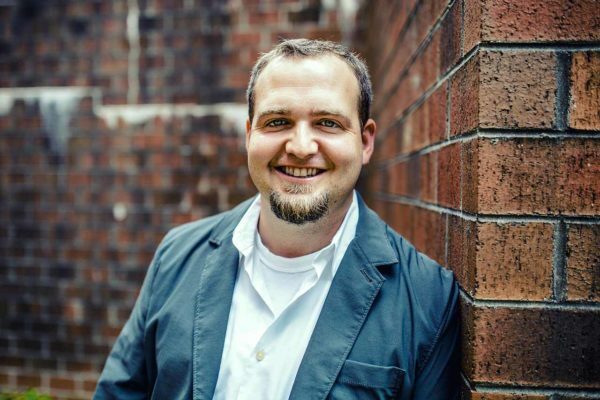 Justin Mabry: I enjoy a multifaceted career as a musician, composer, and educator. I hold a masters degree in performance and provide a variety of clinics and workshops across the country. I started JM Music Design, LLC to provide unique music for Entertainment, Marching Arts, Advertising, and Film. Our goal is to provide quality music and entertainment that generates exciting and emotional connections for the listener. Coaster101: When not crafting music for theme parks, what are some of the other musical endeavors that JM Music Design takes on? Mabry: We do a lot of design work for marching bands and indoor drum lines across the country. Additionally, we do some advertising work and are starting to work towards the film-scoring scene. 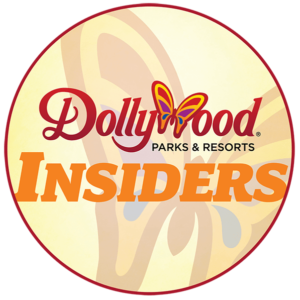 Coaster101: How did you get your start working with theme park shows at Busch Gardens and Carowinds? Mabry: Since I became involved in music, I’ve wanted to create something of my own. In high school, I’d find myself composing music for a drum line cadence, guitar, or piano. I’m lucky enough to have some great friends and contacts in the music business. I was first introduced to the entertainment industry by a great friend who needed help with the percussion section at Mix It Up! in 2014. Since then, I’ve fallen in love with the entertainment show industry, and it has become a large part of my company. I plan for it to continue that way. 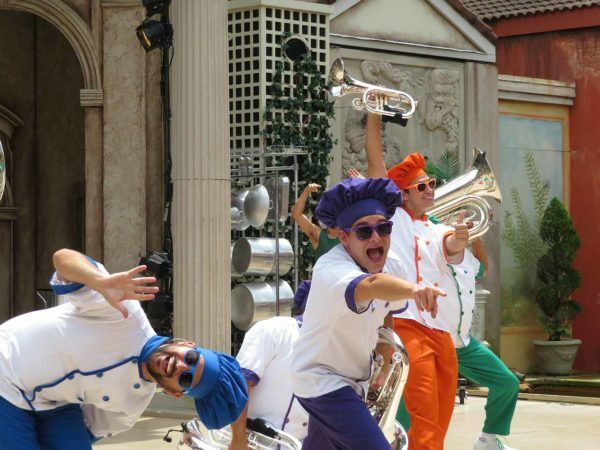 Coaster101: When creating a piece of music for a theme park entertainment show, how does the creative process start? Mabry: For JMMD, we start with a brainstorming session or conference call. I bring in my right hand man, Assistant Director Clay Bradshaw. We’ll take a few days to brainstorm ideas and try to develop one of the concepts further to see if it will work. If not, we move on to the next concept and give it a shot. Coaster101: From idea to debut performance, how long does a typical theme park show take to create? Mabry: This depends on the overall show length, but at a minimum 4-6 months to properly develop everything for the show install. Coaster101: Is it more of the park coming to you with an idea, or you going to the park with an idea? Mabry: Both. As we develop new shows, we may have a specific venue or park in mind for a certain show concept. Sometimes the park has a specific idea for the show or a venue in mind for a concept they want developed. 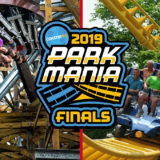 Coaster101: What are some of the shows you have worked on at both parks? 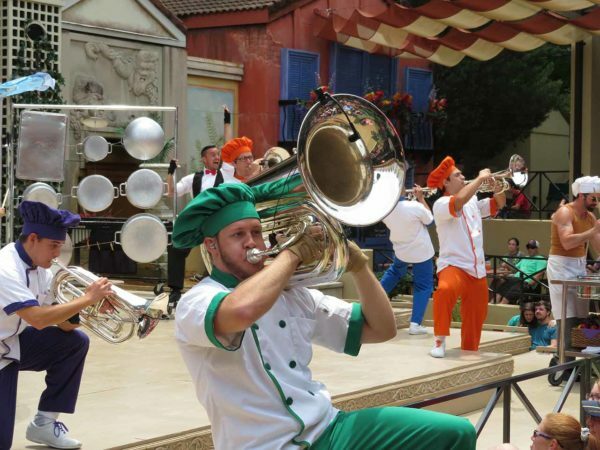 Mabry: Busch Gardens Williamsburg, VA- Mix It Up! (2014-present), Monster Stomp (2014-present). I have also done some instruction for London Rocks (2016) and Britmania (2017). 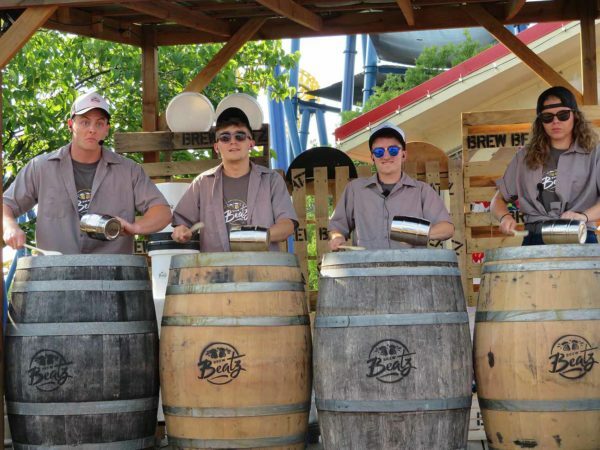 Carowinds- Brew Beatz and Stick(y) Paint. Both of these shows were new for 2018. Coaster101: You’ve done some shows with “longer” runs like Mix It Up, and also some shorter engagements like Brew Beatz and Stick(y) Paint. What’s the biggest difference in preparation for these two types of show lengths, or is there one? Mabry: There isn’t one for me, what determines the amount of preparation is the length of the show. 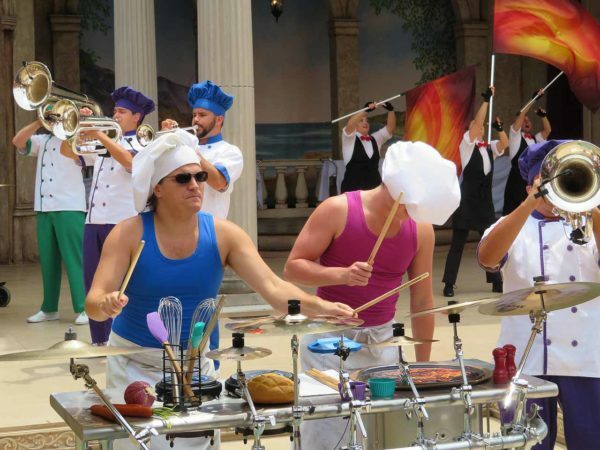 Coaster101: Do you prefer to craft a show that’s primarily percussion, or a show like Mix It Up that not only features percussion, but also brass and other performers as well? Mabry: I don’t have a preference. It usually depends on the venue and show needs. This helps us decide on show instrumentation and/or performers. They are both exciting to create and develop. Coaster101: Where do you find your performers? Traditional auditions, or something different? Mabry: We do a few different options. For a quick audition process we use video submissions. We also do a traditional audition process for longer show contracts and sometimes we do both. When possible we prefer the traditional live audition process. 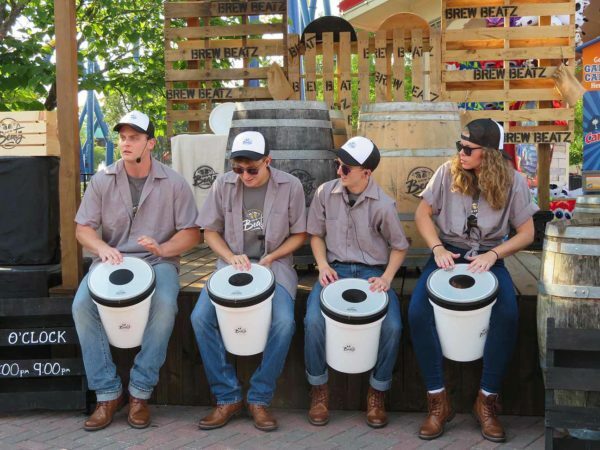 Coaster101: At least with the shows I’ve seen, while there is some traditional drumming, a lot of your percussion is on atypical “instruments”—is there any sort of learning curve for the musicians to learn to drum on beer kegs with wooden spoons or pots and pans? Mabry: Absolutely! Being a percussionist myself, I usually try out the custom instruments first to see if they will add the sound pallet we need. Secondly, I try my best to make sure it is not a surface that will create a strain on the perform’s hand or wrists. While a drum head is always preferred, other non-traditional instruments add a certain look or theme appeal that we want. We try to push ourselves to find a unique look with all our shows. Coaster101: There are some new projects on your website—what (if anything) can you tell us about those? Mabry: We’ve got some exciting projects planned for 2019! These shows are currently in pre-production and are not ready to be publically released. We hope to be able to announce more information soon. 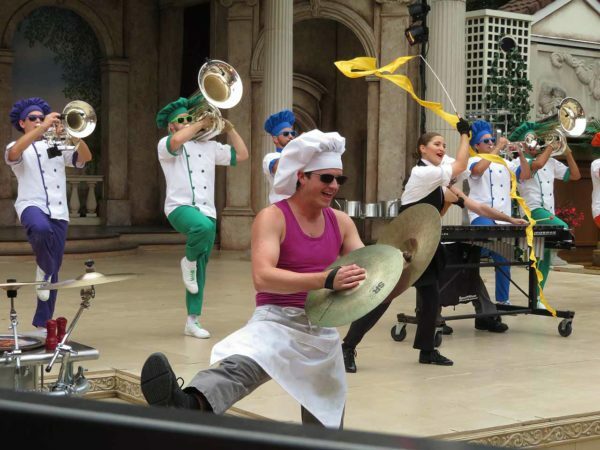 Coaster101: What’s the most challenging aspect of coming up with music for theme park shows? 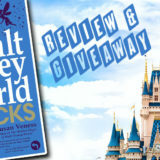 Mabry: The most challenging aspect for me is the variety of guests that attend the parks. It’s hard to pin point one style or genre for that large of a group. Instead we focus on the musical elements that will add to the overall show product. For me, I always try to keep a large genre of music in mind when planning for theme parks. Coaster101: What’s the most rewarding aspect? Mabry: I love seeing the enjoyment of the audiences or seeing people passing by our venue. Even though they may not be planning to watch our show, they still stop to check it out, and most end up staying! After all the hours of planning and rehearsing to bring the show to life, its truly inspiring to see the cast bring their characters to life and the audiences enjoyment of the show. Coaster101: Do you have a favorite or most memorable moment with any of your shows? 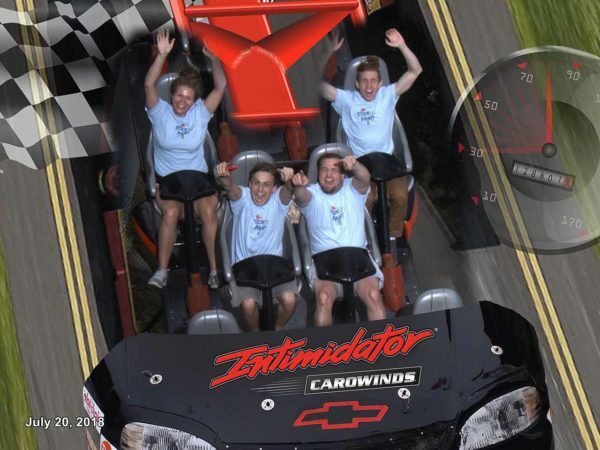 Coaster101: The last question I ask all of my interviews – we are a roller coaster website. Do you ever get out into the parks and ride the roller coasters, and if so, which is your favorite? Mabry: Yes! I love roller coasters! Fury 325 at Carowinds has to be one of my favorites along with Alpengeist at Busch Gardens Williamsburg. Thanks again to Justin for his time. Be sure to check out the JM Music Design website, and follow them on Instagram!